We are what we eat, a saying goes. We are also what we do. And what we do is continue to pollute our oceans and wind up eating poisoned fish as a result. There is some irony in that: the pollutants that we release wantonly into our seas often end up on our dinner plates. A case in point: microbeads. 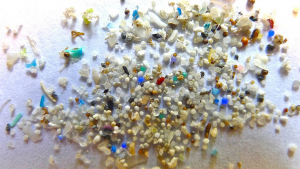 We’ve long known that microplastics – miniscule plastic balls widely used in cosmetics from facial scrubs to toothpaste – pose imminent threats to marine ecosystems where fish and other animals consume them. Young fish are especially vulnerable to microbeads by mistaking them for food. Yet despite mounting calls for a global ban on plastic microbeads, we carry on releasing trillions upon trillions into water sources around the world daily. Many of us remain unaware that simply by washing our faces and teeth in the shower we do that too. All you need to do is use a product with microbeads in them over a sink and you unwillingly contribute to environmental pollution. That’s because microbeads are regularly so small that they are not filtered properly by water treatment plants; hence, they escape en masse into rivers, lakes and seas. But it gets worse. The tiny polyethylene particles, scientists say, act like magnets for pollutants in water. 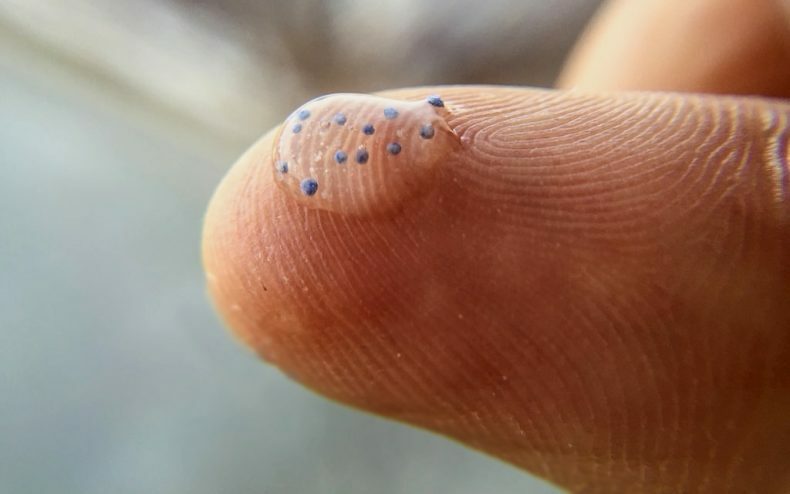 Now a team of researchers from New Zealand and China have found that up to 12.5% of the chemical pollutants that attach themselves to microbeads can pass into the fish that feed on them. In other words, toxic chemicals hitch rides on microbeads, slowly poisoning fish. They may then poison us in turn when we eat those fish. They then get passed up the food chain when other fish or animals feed on those poisoned fish. How badly this affects the food chain still needs to be investigated, but the prospects are probably not good. A class of pollutants called polybrominated diphenyl ethers (PBDEs) regularly attach themselves to microbeads, thereby leaching into the tissues of fish that eat them. PBDEs can cause neurological problems, decreased immune functions, and even infertility. Promisingly, several countries, including the US and Australia, are planning to ban the use of microbeads in consumer products. Under pressure from environmentalists, dozens of cosmetics manufacturers, including major ones such as Johnson & Johnson and L’Oréal, have agreed to phase out microbeads from their products, and there is a global campaign under way to raise awareness of the harm to the environment that microbeads can cause. Malaysia, which remains a leading per capita polluter of plastic waste, should follow suit and ban the use of microbeads in manufacturing as well. Both for the sake of the environment and for our own sake.